What is apparently a super trendy thing in Japan seems just too cruel for us! 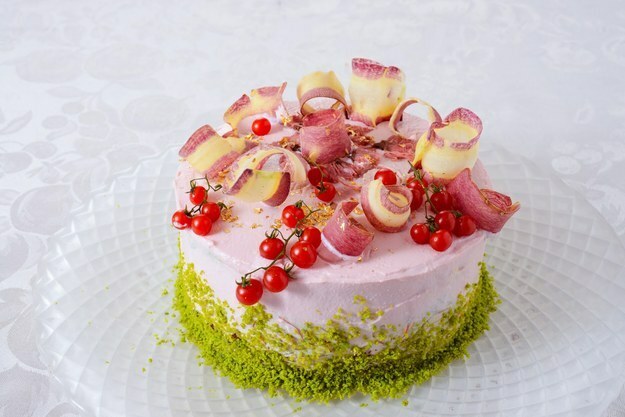 These cakes made entirely out of salad are the reason we have trust issues. 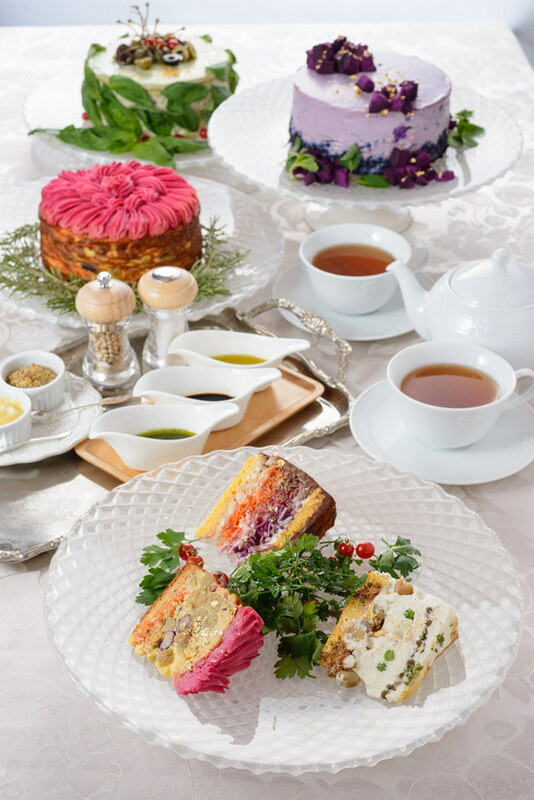 You’ll have to travel a fair few kilometres to tuck into one of these ‘decadent’ cakes. 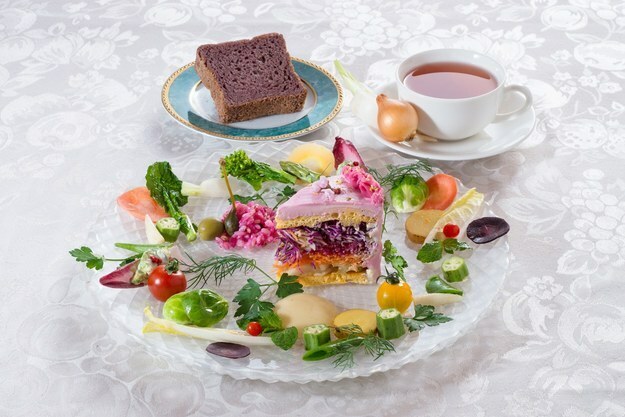 Vegedeco Salad Café, has just opened in the city of Nagoya, about 320 kilometres west of Tokyo. This shop is dedicated to vegetable cakes that may be imposters but look verymuch like the real thing. 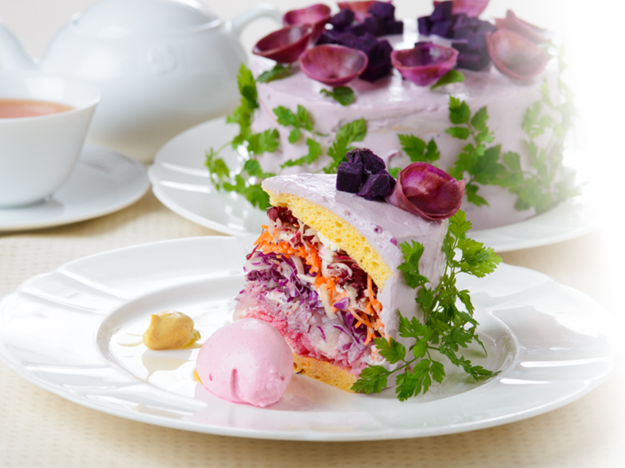 Ingredients: icing of tofu and blended veggies, all natural sponge consisting of soybean flour and minimal sugar. 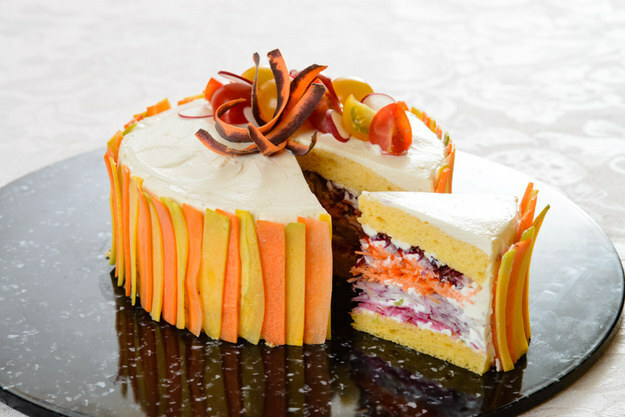 And yep, that’s an apple and shaved carrot garnish. The cakes are priced at 700 to 1,000 yen, or about $8 to $12. Forget having a tea party. For your next get together, throw a salad party!